Hello and welcome to Bark Busters Home Dog Training Basingstoke & Fleet. 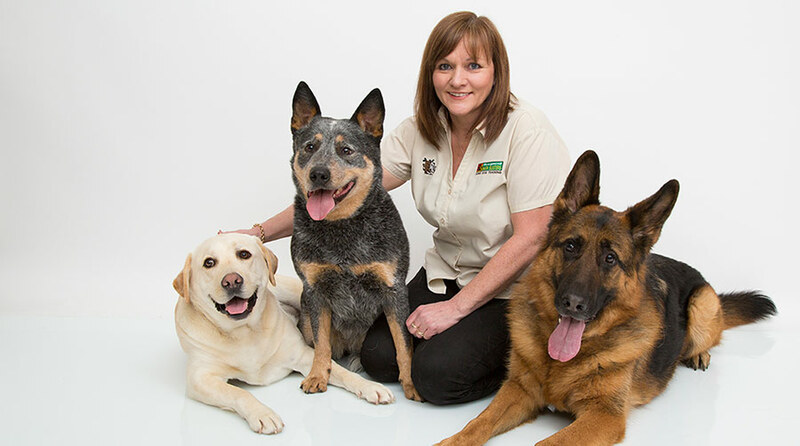 My name is Jacquie Callaby, and I have been your local home dog behaviour therapist for over 12 years. 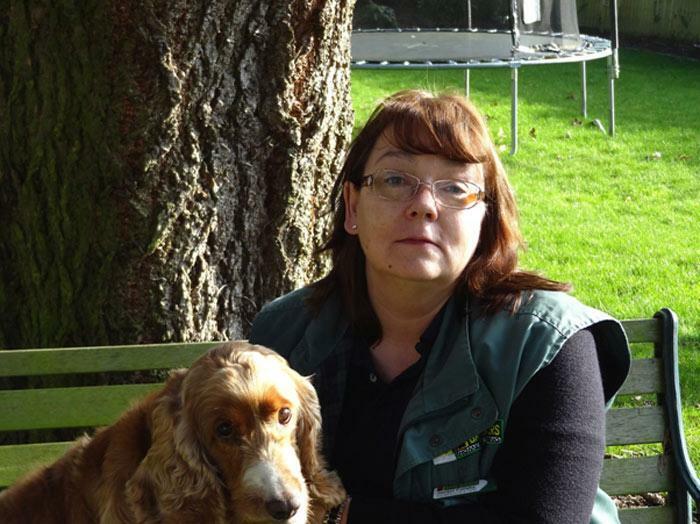 I have met so many dogs and their owners over the years and dealt with so many various issues and problems that I am confident that, whatever issue you may be having with your dog, I will be able to help you. Once I have shown you how to put into place our system of kind leadership and consistent communication, you will be able to enjoy your dog again and be free of the behaviours that often cause the most stress. My own dog, Miller, a cocker spaniel, brought quite a few challenges. His worst problem was separation anxiety, meaning that it was difficult to leave him alone in the house. With a little patience and perseverance, and by putting in place the Bark Busters techniques that I teach, I was able to reduce his stress at the thought of me going out without him, so that he could relax when alone. My years of experience have shown me that, whatever the behaviour problem you are experiencing, you are not alone. You should never be too embarrassed to ask for help. I won’t judge you or criticise you. I’ll simply look at what has been going wrong, create a tailored training plan and show you ways to move forward. My training methods take into account the underlying issues that may be causing the unwanted behaviour. I will explain these to you so that you will have a clear understanding of what you will be doing and why. After our first lesson, you will have more confidence in how to deal with the problem behaviours, and you will also know how to communicate with your dog to prevent them from recurring. Whatever problems you are experiencing, I am confident that I can help you. I deal with barking, aggression to people, aggression to other dogs, pulling on the lead, poor recall, separation anxiety, sibling rivalry, destructive behaviours, toilet training… and much more. I can also help you with puppy training if you would like to get off to a good start with your puppy. Not only have I grown up around dogs and always been a dog lover, I worked in the customer service industry prior to becoming a Bark Busters trainer and behaviour therapist, so I understand the importance of customer satisfaction. I am always keen to ensure that my customers feel that they receive good service and value for money. My Support Guarantee means that, after our initial lesson, I will return to support you throughout the duration of the service. This guarantee, together with the written notes and guidance that I will leave with you after each lesson, means that you can feel confident that you are supported in your training. Some of my successful training programmes are shown here as testimonials from previous dog owners, so please feel free to take a look and see how I can help you too.